Putting your snack close at hand is an imperative for a snack impulse buy. 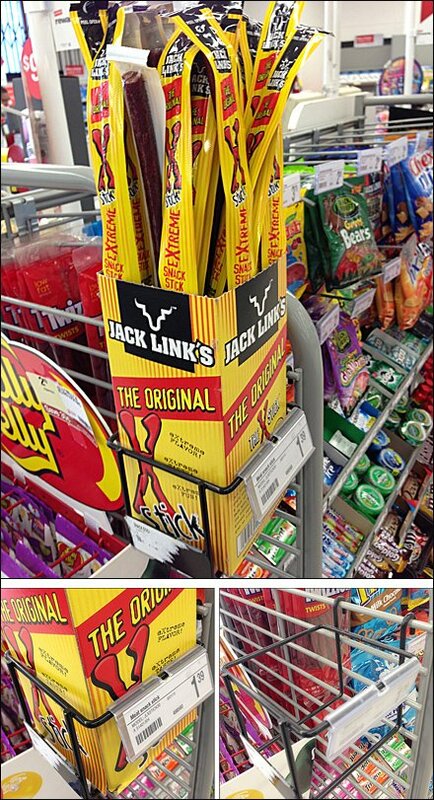 I may not realize I am hungry for Jack until I see this Jack’s Links Merchandising Rack for Grid. Here a custom open wire rack for 1″ Grid allows you to load Jacks Links by the boxful. Note the Flip Front Label Holder riding side saddle. See the Jack’s Links Merchandising Rack for Grid thumbnail for overview of the sell.